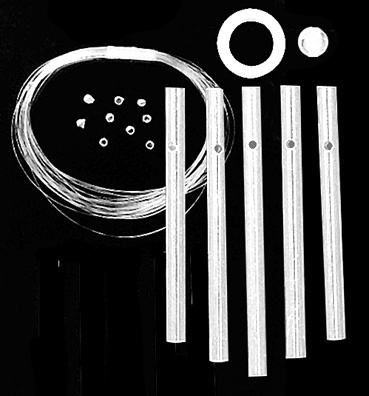 WIND CHIME TUBES and RODS for completing Wind Chime projects. Lightweight Durable Aluminum Wind Chime Tubes & Rods are Pre-Drilled. A thru C are sets of Wind Chime Rods or Tubes only. Stringing supplies NOT included. 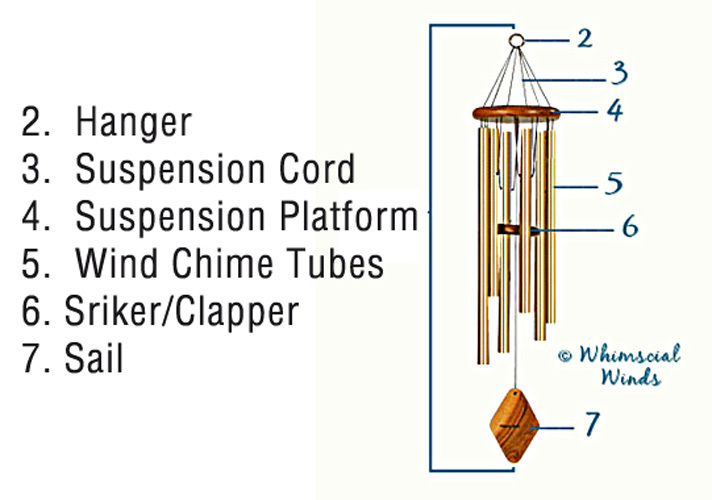 Style D Wind Chimes includes clear nylon stringing line, clear stringing beads, top bead & hanging loop. To see Wind Chime STRINGING SUPPLIES click on Selection below. 3" to 5" - 1/4" O.D. 4-1/2" to 6" - 3/8" O.D. 2-3/4" to 3-1/8" - 1/4" O.D.